The following is an overview of human rights violations in Iran on January 2nd, 2019 based on the information compiled and verified by Human Rights Activists News Agency (HRANA). (1) Ali Ahmadi, a Baha’i citizen, who was transferred to solitary confinement on November 20, was released on bail in Qaem Shahr. He had been arrested on the charge of ‘propaganda against the state’ at least five times in the last 10 years. (2) A fire started in an oil stove used to heat a classroom followed by an explosion resulted in severe injury of a student. Ali Totazehi’s legs were severely burned in this incident in Zehak County in the Sistan and Baluchestan province. A similar incident caused three deaths and few injuries in Zahedan. (3) Narges Mohammadi and Nazanin Zaghari began their hunger strike protesting the prison medical care. They did not receive the medical care that they need and that they are entitled to while they are incarcerated. (4) Alireza Tavakoli, a prisoner of conscience, began his Hunger strike protesting the lack of medical care in prison. He was transferred from to quarantine due to his contagious illness, but the prison officials denied transferring him to hospital. (5) Retired employees of the Army and the Social Security Organization in Tehran and Mashhad, farmers in Isfahan, public service workers in Nishabur and Sarband, Employees of Imam Khomeini hospital in Karaj, the employees of Vahdat Ahvaz financial institute, and the workers of Khorasan Exhaust Manufacturing Company in Nishabur city have separately held nine protests. (6) The head of Ardabil Department of Environment announced that 199 poachers have been arrested and 74 more rangers are needed in Ardabil province. (7) The authorities have not allowed Mohammad Hossein Aghasi, the lawyer of two detained environmentalists to represent or even visit them. Aghasi added that five of the detained activists faced the “corruption on earth” charge. 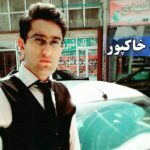 The environmentalists who were arrested last year are Houman Jokar, Sepideh Kashani, Niloufar Bayani, Amirhossein Khaleghi, Sam Rajabi, Taher Ghadirian, Abdolreza Kouhpayeh, Morad Tahbaz, Hasan Zareh, Aref Zareh, Morteza Aryanejad, Alireza Farhadzadeh, and Kavous Seyed Emami. Seyed Emami, an environmentalist and professor, was arrested as part of this crackdown and reportedly died in detention under unknown circumstances two weeks after his arrest. (8) The court of 13 Baha’i citizens which was scheduled for today, was canceled because the judge needs more time to study their case. They are identified as Peyman Ghiami, Ezatollah Shahidi, Forouzan Amini, Kambiz Moradipour, Amrollah Eslami, Nematollah Shadabi, Parhan Tabianian, Naghmeh Shadabi, Farzaneh Amini, Sinoo Rasouli, Sepideh Ehrari, and Amir Kadivar. (9) The court was on session on January 2, 2019 for Mohammad Khakpour , an Azerbaijani Turkic rights activist on the charge of ‘propaganda against the state’. (10) Mohammad Taher Noorzehi, who has been a prisoner of Zahedan prison for the last 13 years, received 40 lashes in front of the other prisoners. Zahedan prison officials have a record of abusive and discriminative behavior. (11) Two Kulbars (Kurdish back carriers), Saber Mohseni and Amanj Shekari, were injured by border patrol shots in the cities of Nowsud and Baneh. (12) Five people with drug-related charges were sentenced to death in West Azerbaijan province. Two prisoners were accused of adultery faced 99 lashes each. One of them also was sentenced to death on a charge of murder. (13) The director of Cyber Space Department of the Attorney-General Office confirmed that Instagram will be blocked in the country. (14) Molavi Abdoljalil Naamani, a Baloch Sunni cleric who is a school principal in Sarbaz city, was summoned to intelligent office of Rask county for an unknown reason. He was requested to accompany one of the students, Balal Khandan. HRANA News Agency – A baker committed self-immolation in front of the General Office of Industry, Mines and Trades in Ardabil province. 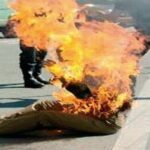 He was transferred to a hospital in Tabriz with 90% burns and lost his life despite medical treatment. HRANA News Agency – Two men were executed in Ardabil and Neyriz, the second was in public. And also, a couple were sentenced to death in Ravar. 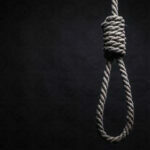 According to the reports by Human Rights Activists News Agency (HRANA), quoted from Iran’s Judiciary websites, Two men were executed in Ardabil and Neyriz, the second was in public on Monday 12 November 2012. And also, a couple were sentenced to death in Ravar. All of them convicted on charges related to drugs.